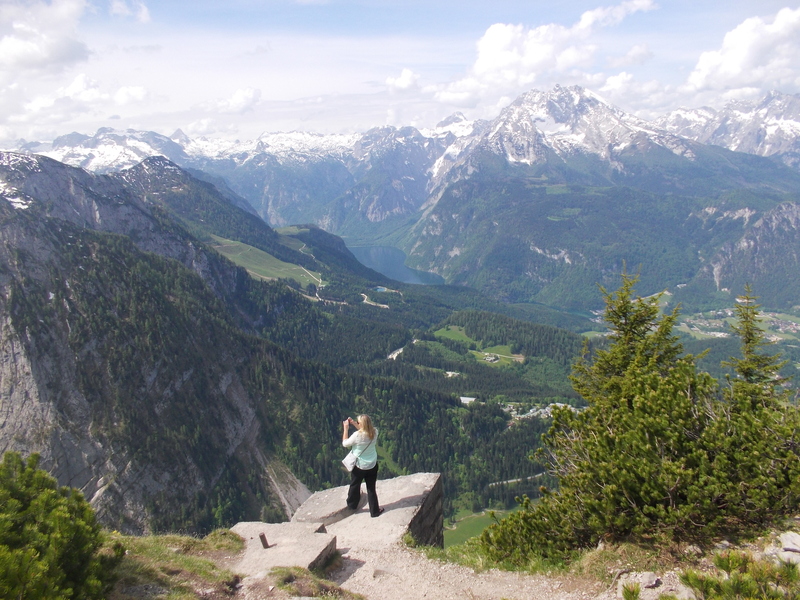 Our tour driver Martin, took this amazing photo on the Austrian Lakes – Sound of Music tour in May. A worthy winner of this months prize! After finishing interchange we headed to Winchester where we had 1 ½ hrs for lunch and time to explore the historic city. We then moved on for our ferry crossing from Portsmouth to the Isle of Wight at 15.00pm. 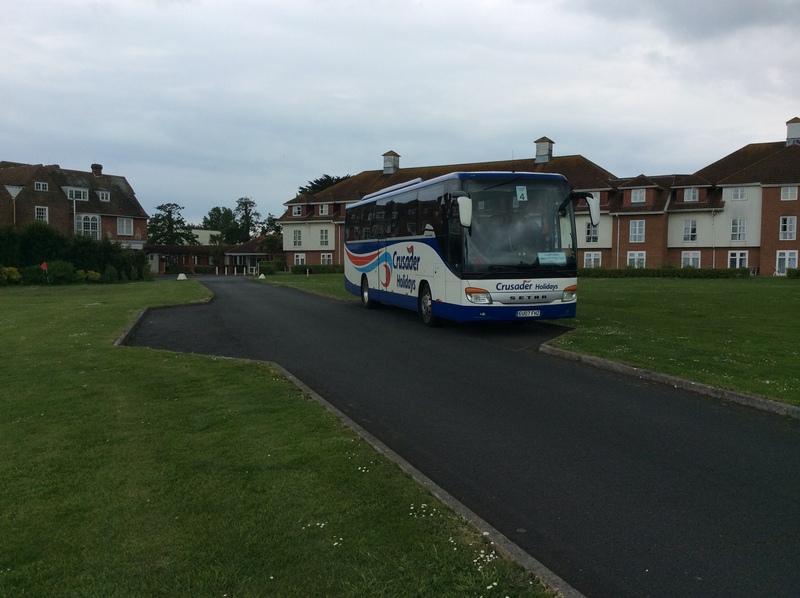 We arrived at the Bembridge Coast Hotel for 16.15pm, plenty of time for guests to relax and get to know the hotels many facilities better. Our evening meal was at 18.30pm then it was eyes down for bingo that evening. We left the resort at 09.30am and enjoyed a leisurely drive along the South East coast into Ventnor where we arrived at 10.10am. After time spent at Ventor we continued for another run along the South coast. The sun was out which brought amazing views across the Solent. At Pearl View Station we stopped for coffee and enjoyed the view overlooking Fresh Water Bay. In the afternoon we arrived at Needles Alum Bay for 13.30pm where the guests had plenty of time for lunch. You can get an amazing ice cream from there too! 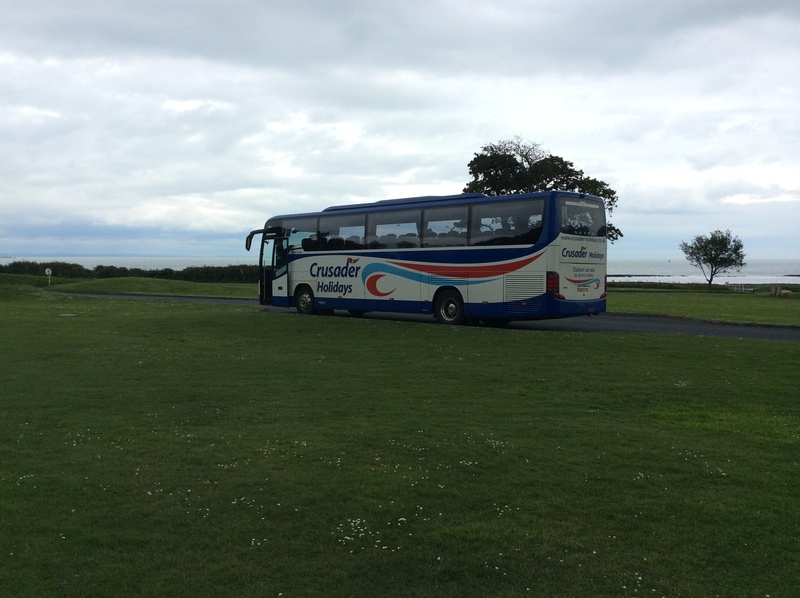 We then drove along the North West Coast, passing Yarmouth, Newport and Brading to finish off our coastal tour at 16.30pm at the hotel. At 09.30am we left the resort for our excursion to Cowes. At 10.15am, we arrived after a lovely drive over the Downs, views once again to die for! The guests had ventured off to enjoy tea and cakes. At 12.00pm we headed off to Godshill with a leisurely drive down the heart of the Isle of Wight. At arrival in Godshill I pointed out to the guests where they could get a lovely big size cream cake and go around the Model Village. The guests really had another good day arriving back at the resort for 16.30pm, ready for their bingo tickets! The evening meal was at 18.30pm which was followed by a comedian after Bingo, which proved to be good entertainment! 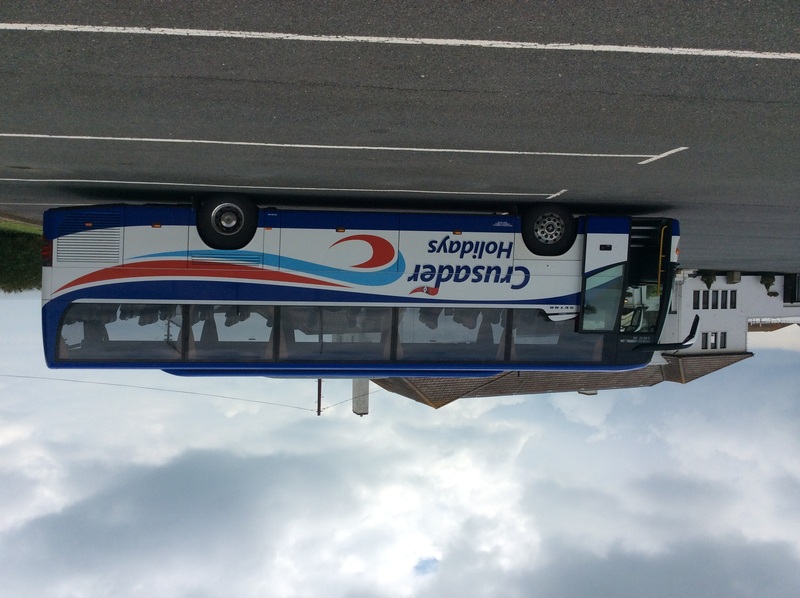 Today was my driver’s day off which I spent relaxing in the Bembridge Coast resort. Guests walked along to the picturesque sea front to the life boat station and many enjoyed an entertaining line dancing session in the afternoon along with their Cream tea’s. After breakfast it was unfortunately time to head back home. We took the ferry back across to Portsmouth and retuned to the mainland where we continued homewards.